Wellness with Penny | Empower Yourself From The Inside Out: 12 ways to speed up your metabolism right now! I've heard people ask why the weight loss strategies they've used in the past (like reducing calories and avoiding junk food) no longer work. The frustratingly simple explanation is that weight loss gets harder as we get older, in part because our metabolism slows with age. Metabolism is a process in which your body burns calories from foods you eat and convert them to energy you can use. Research shows that in women, metabolism declines by an average of 2-5 percent per decade, starting at age 20. For the average man, metabolism begins to decline at age 25. But here’s the good news: There are simple ways you can tweak your daily routine to counterbalance this natural dip. Certain activities, supplements, foods, and beverages can speed your metabolism; the faster it burns, the more calories you use, and the more fat you lose over time. Here are 12 ways you can fire up your metabolism around the clock. Some of the tips are challenging (lunges and planks) and some you'll actually love (evening glass of wine). Try to follow as many of them as you can every day to help your body find its healthy weight. In the process of digesting food, your body actually burns calories. This is called the "thermogenic effect of food." Certain types of food are tougher to digest and require more work by your body to break them down. Foods high in fiber and protein tend to have higher thermogenic effects — meaning your body generates heat and uses more energy to digest them, hence, raising your metabolism. As usual, be mindful of your portions. Don't eat more calories than you burn in a day. 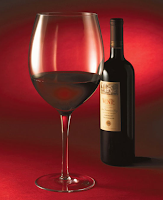 Learn more about your daily calorie intake here. The more intense your workout, the more calories you'll continue to burn long after your workout is over because the body consumes more oxygen, a crucial player in metabolism, when it's recovering from exertion. This keeps your fat-burning metabolism higher all throughout the day. It's best to do a high intensity workout at least 2-3 times a week and do low intensity workouts the other days. Even going for a brisk 15-minute walk (a trip around the block) can triple your metabolic rate. And smaller 10-minute workouts done regularly can keep your metabolism fired up! Try one of my 10-minute home workouts here. The fat-burning process of metabolism needs water to work effectively. Not only does water help prevent you from getting bloated by flushing out waste, it also triggers the sympathetic nervous system, which in turn stimulates your metabolism. On top of that, cold water may raise your metabolism by forcing your body to burn extra calories to warm up the cold water you drink. Do a little yoga or mini exercise routine. Something as simple as a 8-10 minute session can double your metabolic rate first thing in the morning. 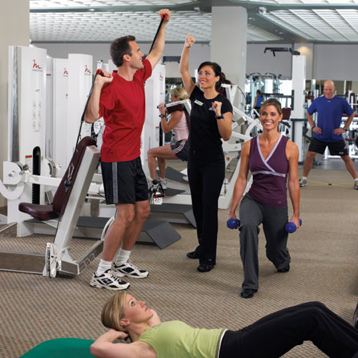 Morning workouts give you a longer lasting “after-burn effect” (as described in point #2 above). This helps you burn more calories during the day. On the other hand, you also get the after-burn with evening workouts, but your after-burn won't last as long since you'll probably end up going to bed in the evening; and when you sleep, your metabolism slows back down. 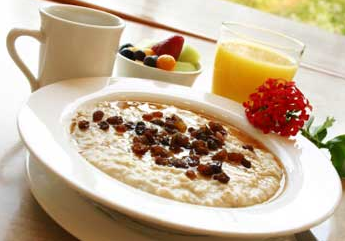 Eat a protein-packed or fiber-rich breakfast. 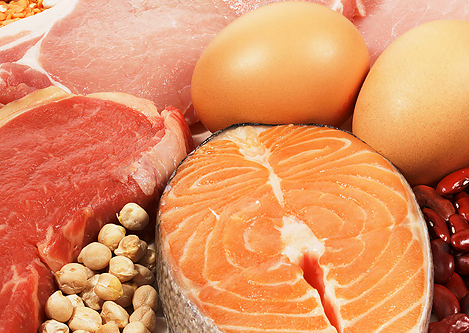 Digesting protein takes up to seven times more energy than digesting carbohydrates or fat. Have some eggs for protein, or have some oatmeal for fiber. Even a refreshing green veggie drink will do the trick. It’s best you eat a breakfast that consists of protein and fiber (as mentioned in point #1) to boost your fat-burning metabolism earlier in the day so you can burn more fat. Skipping breakfast can make your metabolism (which is already slow from you sleeping 6-8 hours) even slower. That, or you end up overeating at lunch from feeling overly hungry. After age 30, we lose 3 to 8 percent of our muscle mass per decade, which is one of the main reasons metabolism slows. To counteract that loss, aim to do 2-3 30-minute strength training sessions a week using moves that engage as many muscles as possible (such as squats, lunges, planks). 1 pound of muscle can burn 5-14 calories a day. So when you put on 5 pounds of muscle, your metabolism can burn 25-70 extra calories a day. 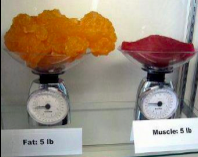 Also, because muscle takes up less space than fat, as you replace your body fat with muscles, you will look 5-10 pounds slimmer (regardless of your weight). This miracle beverage pairs a little caffeine with a compound known as EGCG. This compound causes the brain and nervous system to run faster helping you to burn more calories — and together they create an even greater bump in metabolism than caffeine alone. 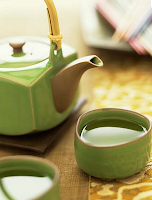 Learn more about benefits of green tea, especially Matcha green tea - the most powerful kind. Calcium, which is a metabolic trigger, can help improve your muscle-to-fat ratio in two ways: It binds with fat to reduce the body's absorption of fat. And any remaining calcium typically circulates in your bloodstream, helping to break down fat cells. You can get your servings of calcium from almond milk, or low-fat dairy like yogurt, cheese, or skim milk. Different studies have said that spices can increase your metabolism by 8-20% for at least 30 minutes after eating them. For example: An Oxford University study proved that hot peppers can increase your fat-burning metabolism by adding just 3 grams of chili peppers to meals. In a British Study: Spicy mustard made people burn an extra 45-75 calories over 3 hours. Jalapenos (cayenne pepper) contain capsaicin which stimulates metabolism, speeds up heart rate and reduces "bad" fat in the arteries. All you need to do to get a metabolism boost from spices is to add a little bit of cayenne pepper or spicy mustard to your favorite recipes. 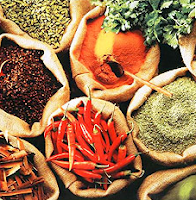 Learn more about super spices here. People who have hypothyroidism (a thyroid dysfunction) or slow metabolisms add more selenium, vitamin E, iodine, zinc and copper to their diets to naturally treat hypothyroidism and help speed up their metabolism. Your thyroid basically regulates your metabolism and you may be able to increase your metabolism simply by eating more seafood, nuts and seeds because all of these foods are high in the mentioned nutrients. Irregular sleep patterns can disrupt the circadian rhythm of your cells, throwing your metabolism out of whack. Do your best to get a steady 7-8 hours of rest each night.